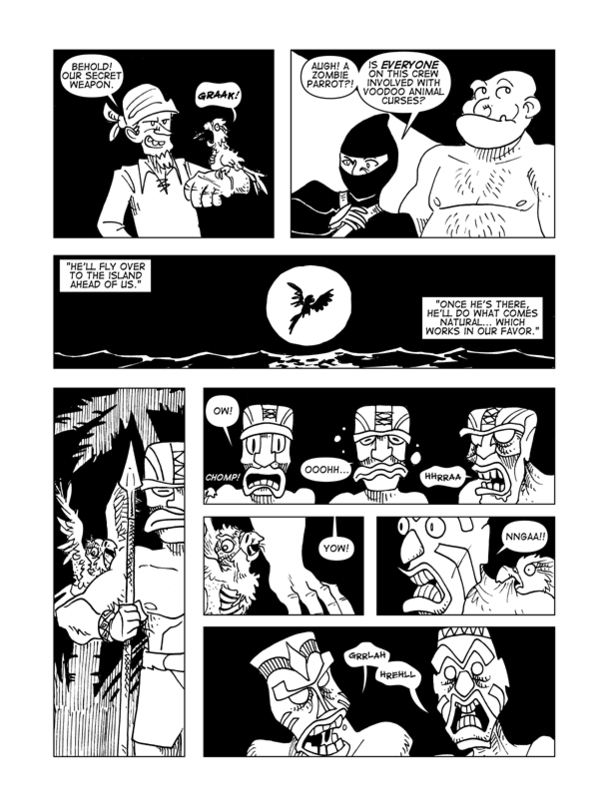 Rise Of The Tiki God, Page 17 – Catbeard the Pirate! Another wrinkle added to the mix! So according to my file numbering, this is the 200th regular Catbeard page. I know there’s actually a lot more than that, what with extra bits made for the books and special updates, but wow. 200 regular update pages. Come a long way with this guy. I hope you’ll stick around for another 200 and I’ll see you all in the New Year!